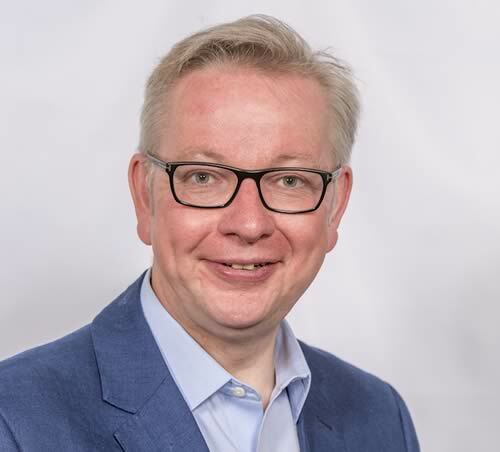 The Secretary of State for Environment, Food and Rural Affairs Michael Gove has outlined his vision on the future of our natural environment post Brexit. It is a particular pleasure to be here today in WWF’s magnificent Living Planet Centre. It’s an inspirational example of how buildings can contribute to environmental sustainability. The WWF’s commitment to worldwide conservation, to robust research and to engaging people as well as policy makers in these critical issues has ensured it has provided a wonderful example of environmental leadership. I hope that we will continue to work closely together, and with other organisations represented here, as we forge our future approach to the environment. In 1970, the incoming Conservative Government of Edward Heath created this country’s first Department of the Environment. The new Department published a White Paper on our natural heritage in 1972 which was entitled ‘How Do you Want to Live?’ The Department, with perhaps more idealism, or less due diligence, than has subsequently been the case in Government communications strategy, commissioned Philip Larkin to write a poetic prologue. And his poem - subsequently titled ‘Going, Going’ - is a lament for the erosion and destruction of our natural environment under the pressures of corporate greed, devil take the hindmost individualism, and modernist brutalism. Most Things Are Never Meant. Excuses That Make Them All Needs. I Just Think It Will Happen, Soon. Of course, Philip Larkin was never the most cheerful of voices in English literature but the warning note that he sounded in ‘Going, Going’ was profound - and prescient. In the 45 years since he wrote we have lost green space, cut down trees, sacrificed meadow and heath land, polluted our earth, air and water, we placed species in danger and we’ve run down the renewable resources - from fish to soil - on which our future depends. Farmland bird numbers have been cut in half, species have been devastated, bees and other pollinators threatened. And at the same time, across the globe, we’ve seen climate change threaten both fragile natural habitats and developing human societies, we’ve allowed extractive and exploitative political systems to lay waste to natural resources and we’ve placed species of plants and animals in new and mortal danger while gambling with the future health of the whole world. Now, I am an environmentalist first because I care about the fate of fellow animals, and I draw inspiration from nature and I believe that we need beauty in our lives as much as we need food and shelter. We can never be fully ourselves unless we recognise that we are shaped by forces, biological and evolutionary, that tie us to this earth that we share with others even as we dream of capturing the heavens. But I am also an environmentalist because of hard calculation as well as the promptings of the heart. We need to maintain and enhance the natural world around us, or find ourselves facing disaster. Unless we take the right environmental action we risk seeing more species die out, with potentially undreamt of consequences in terms of the health and balance of nature. We risk flood damage to the homes in which we live and devastation to the islands that others know as their only home. We will see the forward march of deserts compelling populations to be on the move and the growing shortage of water creating new conflicts and exacerbating old rivalries. Indeed, ultimately, the air we breathe, the water we drink, the food we eat and the energy which powers enterprise, are all threatened if we do not practice proper stewardship of the planet. If we consider the fate of past societies and civilisations, it has been, again and again, environmental factors that have brought about collapse or crisis. The Pulitzer Prize-winning academic Jared Diamond has, brilliantly, anatomised the forces which led to past civilisational destruction - deforestation and habitat destruction; soil problems such as erosion, salinization, and soil fertility losses; water management problems; overhunting; overfishing; and the effects of introduced species on native species. He has also outlined the contemporary environmental threats that we now face with irresistible clarity - climate change, the build-up of toxins in our soil, air and oceans and the spiralling level of resource consumption, waste generation and demand for energy which all threaten human progress in the future. Now, it is because environmental degradation is such a threat to future prosperity and security that I deeply regret President Trump’s approach towards the Paris Agreement on Climate Change. I sincerely hope the recent indications that the President may be minded to think again do signal a change of heart. International co-operation to deal with climate change is critical if we’re to safeguard our planet’s future and the world’s second biggest generator of carbon emissions cannot simply walk out of the room when the heat is on. It’s our planet too and America needs to know that we can only resolve this problem together. And it’s absolutely vital that we think ahead, coolly and rationally, to do what we can to both move towards greener energy generation and adapt to changing temperatures. The devastating impact climate change can have on societies has been brilliantly brought out in Geoffrey Parker’s history of the seventeenth century, ‘Global Crisis’. Parker charts the collapse of hemispherically-dominant regimes from China to Spain and the outbreak of devastating civil wars in the UK and across Europe all driven, or exacerbated, by the resource challenges generated by climate change. History teaches us that unless we prepare for these challenges we will be undone. Now, of course, there is a huge difference in the scale and duration of seventeenth century climate impacts and the current man-made crisis. And the technological breakthroughs that mankind has pioneered in recent years, the greater scientific knowledge that we now enjoy, the computational power of the machinery in our own hands, means that we live in a radically different world to our ancestors. But we live on the same planet. The only one we know which can sustain human life. And the history of humanity on this planet tells us that, again and again, societies and civilisations have been gripped by hubris, by the belief that this time is different. That the cycles of the past have been broken. And we have seen, recently and all too graphically, how hubris in the financial markets, the belief among some that they had become not just a global elite but masters of the universe, led to economic disaster. Science, technology, computational power are certainly critical to shaping our future, and as I shall go on to argue at greater length later in this speech, but if we imagine they can liberate us from the need to safeguard our environment, to protect the species we share this planet with, to protect and purify our air and our oceans, to keep our earth fertile and ensure that we can renew our natural resources, then we will have succumbed to the hubris which has wrought such devastation in the past, and which in the future may condemn us to much worse than economic hardship. So we should not aim simply to halt or slow the deterioration of our environment. We must raise our ambitions so we seek to restore nature and reverse decline. This government was elected on a pledge to be the first to leave the environment in a better state than we inherited it. While the need for action on the environment has rarely been greater there are also, at this moment, forces at work which make me optimistic about our capacity to rise to this challenge - and in particular optimistic about the role our country can play. The first reason for optimism is the idealism and commitment of so many in our society, of all ages but especially among young people. Environmental organisations - from WWF to the RSPB, the Wildlife Trusts to Greenpeace and Friends of the Earth - enjoy memberships in the tens and hundreds of thousands, and also the support of millions more and a capacity to move hearts more powerful than any other set of institutions in our civil society. And their campaigning energy and idealism, while occasionally uncomfortable for those of us in power, who have to live in a world of compromise and deal-making, is vital to ensuring we continue to make progress in protecting and enhancing our environment. On everything from alerting us all to the danger posed by plastics in our oceans and nitrogen oxide in our air, to the threats posed to elephants by poaching and cod by over-fishing, it’s been environmental organisations which have driven Governments to make progress. They have demonstrated that we can, with sufficient will, halt and reverse those trends and forces degrading the natural world and we can, if we have that will, improve the environment we are handing on to the next generation. Which takes me to the challenge - this Government - and our country - face at this time. The decision to leave the European Union has been interpreted in many ways, and I won’t revisit the debates now which led to that decision being made. Now that decision has been made, it creates new opportunities, and challenges, for the British Government. And nowhere more so than in the area of environmental policy. We now have an historic opportunity to review our policies on agriculture, on land use, on biodiversity, on woodlands, marine conservation, fisheries, pesticide licensing, chemical regulation, animal welfare, habitat management, waste, water purity, air quality and so much more. Leaving the European Union means leaving the Common Agricultural Policy, leaving the Common Fisheries Policy, and taking back control of environmental policy. And in this unfrozen moment new possibilities occur. Now, I can understand why, for some, this is a moment of profound concern. The European Union has, in a number of ways, been a force for good environmentally. Our beaches are cleaner, habitats are better protected and pesticides more effectively regulated as a consequence of agreements that we reached since we entered the EU. And I have no intention of weakening the environmental protections that we have put in place while in the European Union. But the EU has not always been a force for good environmentally. In this decade alone, the EU has ordered member states to vote against international action to protect polar bears and to abstain on measures to protect bluefin tuna. And as the UK Climate Change Act shows, this country is more than capable of bringing in our own strong legislation to protect the environment, independent of the EU. And it’s important that as we look at the history of EU policy, we recognise that environmental policy must also be insulated from capture by producer interests who put their selfish agenda ahead of the common good. And here the EU has been weak recently. The EU’s handling of diesel emissions, the way in which car manufacturers rigged testing procedures, and the consequent risk to public health which we have to deal with, do not reflect well on the European Union’s internal processes. The EU’s laboratory-based mechanisms for testing emissions have proven inadequate, and they have allowed manufacturers to game – or directly cheat – the system. Outside the European Union, we can do much better. And we will be saying more about this when our Air Quality Plan is published later this month. But the two areas where the EU has most clearly failed to achieve its stated environmental goals are the Common Agricultural Policy and the Common Fisheries Policy. Now both have been reformed during their lives, and improvements have been made, but they are still not properly designed to put the environment first. The Common Agricultural Policy rewards size of land-holding ahead of good environmental practice, and all too often puts resources in the hands of the already wealthy rather than into the common good of our shared natural environment. It also encourages patterns of land use which are wasteful of natural resources and often intrinsically poor value rather than encouraging imaginative and environmentally enriching alternatives. As the most recent report from Lord Deben’s excellent Committee on Climate Change and its equally excellent Adaptation Sub-Committee points out, current EU-inspired farming approaches are degrading our soil. In some areas a combination of heavy machinery, irrigation methods accelerating erosion and a determination to drive up yields has meant that soil has become less productive. It is not only less effective at sequestrating carbon it is, progressively, less fertile. The effect is most noticeable in what has been some of our most fertile growing soil, in the Fens, where a combination of the draining of the peat and the disappearance of hedges and trees over the years has led to a thinning of productive earth. According to the Committee’s report, Britain has lost 84% of fertile topsoil since 1850 and the erosion continues in some areas at between 1cm and 3cm a year. Now, whether environmental campaigner or farmer, we can all agree such a trajectory is, literally, unsustainable. Which is why we need to take the opportunity that being outside the Common Agricultural Policy will give us to use public money to reward environmentally-responsible land use. This Government has pledged that when we leave the EU we will match the £3 billion that farmers currently receive in support from the CAP until 2022. And I want to ensure that we go on generously supporting farmers for many more years to come. But that support can only be argued for against other competing public goods if the environmental benefits of that spending are clear. Of course there are many other - very good - reasons why we should provide support for agriculture. And the first is simple and straightforward. Farmers produce the high quality food which the rest of us enjoy so much. Without them, our lives would be poorer - and our stomachs emptier. And we are uniquely fortunate that British food enjoys a reputation for quality which has been built on high animal welfare standards, strong environmental protections and the dedication of farmers and growers to meeting ever more demanding consumer expectations. Our food culture in Britain has become much more diverse and discriminating in my lifetime, influenced by chefs and bloggers, campaigners and entrepreneurs. And I was delighted when I was Education Secretary to have been able to harness their enthusiasm to develop a School Food Plan designed to give the next generation a deeper appreciation of the importance of what we eat. And of course the biggest driver of higher standards and wider choice in food and drink has been the innovation and creativity of farmers and growers themselves. It is my job to support them to grow, produce and sell more. But farming is so much more than a business. 70% of our land is farmed - and the beautiful landscape that we enjoy in so many cases has not happened by accident but has been actively managed. The Lake District, which recently secured World Heritage Site status from UNESCO, is both a breath-taking natural landscape but also a home to upland farmers whose work keeps those lakes and hills as Wordsworth saw them, to the delight every year of millions of visitors. So support for farmers in areas like the Lake District, upland Wales or the Scottish borders is critical to keeping our countryside healthy. Indeed, whether it’s hill farmers or island crofters, or those running small family farms in England and Northern Ireland, there is a need to ensure that the human ecology of rural areas is protected. But while continued support is critically important, so is reform. And indeed I have been struck in the conversations I have had with organisations like the NFU, The Farmers Union of Wales and the Countryside Land Alliance that it is farmers themselves who most want the CAP to change. I have particularly appreciated the open, constructive and imaginative engagement shown by the NFU’s passionate and energetic President Meurig Raymond. And it’s the farmers he represents who have had to live within the CAP’s bureaucratic constraints. They have seen how it holds back productivity, impedes progressive environmental stewardship and works against their natural instincts. Farmers owe their living and devote their lives to the land. They are engaged, every day, in practical environmental work and they deserve our respect and support for their commitment to the countryside. And from all the conversations I have had so far I with farmers, land owners and managers I know that there is a growing appetite for a new system of agricultural support which respects their work and puts environmental protection and enhancement first. Our approach should therefore be, in Byron’s words, to love not man the less but nature more. That means support for woodland creation and tree planting as we seek to meet our aim of eleven million more trees. Because trees are not only a source of beauty and wonder, living evidence of our investment for future generations, they are also a carbon sink, a way to manage flood risk and a habitat for precious species. And we should also support those land owners and managers who cultivate and protect the range of habitats which will encourage biodiversity. Heathland and bog, meadow and marsh, estuaries and hedgerows alongside so many other landscapes need care and attention if they are to provide homes to the growing diversity of animal and plant life that we should wish to encourage. Now doing this well depends on developing the skills and farming practices of land owners and managers. And understanding how to create and protect habitats should be as much a part of good farming as understanding the latest crop and soil science. And alongside encouraging greater bio-diversity and the way in which farmers manage their land, I also want to see higher standards across the board of animal welfare. We need to take action to tackle the trade in illegal ivory, improve scrutiny of what happens in our abattoirs, move on circus animals and examine the future of live animal exports. Cruelty towards animals driven by man’s worst exploitative instincts needs to be met with the full force of the law. Now I have been frank before when talking about animal welfare and my feelings for landscape, wildlife and natural beauty spring from sentiment. Growing up between the North Sea and the Cairngorms, spending weekends in the hills and weekdays with my head in Wordsworth and Hardy, Lewis Grassic Gibbon and Edward Thomas, I grew up with an emotional attachment to natural beauty which inevitably influences my feelings towards questions on everything from architecture to ivory. But while natural beauty moves us deep in our souls, environmental policy also needs to be rooted, always and everywhere, in science. There will, of course, always be a need to make judgements about the best method of achieving environmental goals, in ways which improve rather than upend people’s lives. But it is only by adherence to scientific method, through recognising the vital importance of testing and re-testing hypotheses in the face of new evidence and through scrupulous adherence to empirical reasoning, that we can be certain our policies are the best contemporary answer to the eternal questions of how we live well and honour the world we have inherited and must pass on enhanced to our children. And it is science that guides my approach to another issue where my emotions have been powerfully engaged - fishing. My father, grandfather and great grandfather all made their living from the sea. My great grandfather was a fisherman, my grandfather and father fish merchants. My father’s business closed in the nineteen-eighties when I was a schoolboy, one of many that closed after this country accepted EU control of our waters through the Common Fisheries Policy. The CFP has had a profound impact on the UK’s coastal communities. But its most profound impact has been on the sustainability of our fish stocks. Fisheries management should always be guided by science - by a hard-headed assessment of which species and stocks can be fished and which must be protected if their numbers are not to dip below sustainable levels. The tragic precedent of over-fishing off the Grand Banks, and indeed current overfishing practices off the coast of Africa, shows how easy it can be to destroy what should be a perpetually-renewable natural resource. The CFP has been reformed in recent years, not least thanks to the efforts of my friend and colleague Richard Benyon. The benefits of improved environmental stewardship have been seen in the resurgence of North Sea cod. But it is still the case that 40% of fish stocks in the Atlantic, North Sea and Baltic Sea are being fished at unsustainable levels. By leaving the CFP, taking back control of our territorial waters, granting access to other countries and allocating quotas all on the basis of what is scientifically sustainable, we can ensure that we set and follow the very highest standards in marine conservation. And that, in turn, should lead to the revival of our coastal communities. With UK control of waters in our exclusive economic zone we cannot just husband fish stocks more wisely - we can also ensure that we allow our fishing industry to grow sustainably in the future as well. Outside the EU, as an independent coastal state, we can be home to world class fishing fleets as well as proving ourselves environmental leaders. And it is not just through reform of fishing policy that we can ensure the marine environment is restored to health. Eight million tonnes of plastic are discarded into the world’s oceans each year, putting marine wildlife under serious threat. In October 2015, the government introduced the 5p carrier bag charge. Figures released today show that policy’s enormous success – 9 billion fewer carrier bags distributed since the charge was introduced, a fall of 83%. More than £95 million has also been raised from the charge, has been donated to environmental, educational and other good causes. But this work in order to protect our marine environment is not good enough. Last year the government launched a consultation on banning microbeads in personal care products, which have such a devastating effect on marine life. We are responding to that consultation today and we will introduce legislation to implement that ban later this year. But there is more we can do to protect our oceans, so we will explore new methods of reducing the amount of plastic - in particular plastic bottles - entering our seas. I want to improve incentives for reducing waste and litter, and review the penalties available to deal with polluters - all part of a renewed strategy on waste and resources that looks ahead to opportunities outside the EU. As custodians of the fifth largest marine estate in the world, we have a responsibility in the UK to protect these unique and fragile environments. So we will continue to fight to uphold the moratorium on commercial whaling. And by completing the Blue Belt of marine protected areas around the UK and working with our Overseas Territories we hope to create the world’s largest marine sanctuaries, we hope to deliver over 4 million square kilometres of protected maritime areas by 2020. Outside the European Union there is scope for Britain not just to set the very highest standards in marine conservation, but also to be a global leader in environmental policy across the board. Informed by rigorous scientific analysis, we can develop global gold standard policies on pesticides and chemicals, habitat management and biodiversity, animal welfare and biosecurity, soil protection and river management and indeed in many other areas. We can take smarter and more targeted approaches to the improvements that we want to see – for instance, we can incentive recycling according to the environmental impact and value of the material, rather than a crude weight-based target that currently focuses recycling on things that happen to be heavy. Now in the past, the United Kingdom played a leading role in establishing the world’s most successful environmental treaty – the Montreal Protocol which has protected the ozone layer by phasing out the chemicals that UK scientists had shown was destroying it. And the UK has been a global leader on efforts to promote biodiversity and tackle the illegal wildlife trade – an area where WWF has made such an enormous and beneficial impact. A series of international conferences have pushed the threats from poaching and illegal trade in endangered species up the global political agenda. We also in the UK fund globally respected schemes such as the Darwin Initiative, which protects biodiversity and endangered species in developing countries and helps them to meet their environmental commitments. This year I am delighted to be able to help celebrate Darwin’s 25 year anniversary. I am also pleased to announce today that the 24th round of the Darwin Initiative, the 6th round of Darwin Plus, and the 4th round of the Illegal Wildlife Trade Challenge Fund will all open for applications next week. And the UK has also helped establish the autonomous institutions - from the Royal Society to the National Trust, Kew to Cefas - which have provided global leadership and set the standard for scientific rigour in the application of all environmental policies. And I should say that as well as these organisations, we are fortunate to have in the Department for the Environment, Food and Rural Affairs a team of scientists, economists, policy specialists and analysts second to none. It’s a privilege to be working in a department where the quality of analysis and advice, as well as the commitment to rigorous science, is so impressive. So we are in a fortunate position. But as we prepare to leave the EU we must give thought to how we can create new institutions to demonstrate environmental leadership and even greater ambition. Not least because we have to ensure that the powerful are held to account and progress towards meeting our environmental goals is fairly measured. And I mention that because I know that inside the EU, the European Commission and the ECJ have provided enforcement mechanisms and understandably, some are asking what could or should replace them. My view is that we have an opportunity, outside the EU, to design potentially more effective, more rigorous and more responsive institutions, new means of holding individuals and organisations to account for environmental outcomes. And I bet that if we take these opportunities to create these new institutions, we cannot just help protect our precious environmental assets, we can also create an economic asset for the country. Just as Britain enjoys a massive competitive advantage in the provision of legal services because the world knows we have the best courts and judges, and so chooses to settle its disputes here, so if we establish ourselves as the home of the highest environmental standards, the most rigorous science and the most ambitious institutions then the world will look to us for environmental innovation and leadership. We already have much of the infrastructure in place in our universities and our learned institutions, in our NGOs and NDPBs. And we’re also, thanks to the leadership of other colleagues in government, developing expertise in new areas from Ultra-Low Emission Vehicles to waste management, supported by wise leadership from the ministerial team at the Department for Business, Energy and Industrial Strategy. In particular I am looking forward to the policies being planned by my friend Claire Perry for the Clean Growth Plan which is due to be launched in the autumn. These policies should reinforce our ambition to be the home of the most economically and environmentally ambitious policies in the areas of clean, green, technology, from energy generation to transport, the circular economy to house building. We are fortunate that in this country we do have innovative private sector players who can work with government and respond to smart, and ambitious, regulation and targets to help us meet new environmental demands while also generating growth. Claire and I hope to say more in the weeks and months to come about some of the ambitions we want the private sector to help us achieve real gains in the area of clean, green, growth. And it’s important that government and the private sector work together because scientific advances and technological breakthroughs are rarely the sole preserve of the state or the market. The huge commercial success of America’s Silicon Valley was built on Government investment. It was the state-run Defence Advanced Research Projects Agency and the federally-funded NASA which generated the initial breakthroughs on which subsequent commercial success was built. Similarly, the success of Israel’s amazingly creative tech sector has been built on that nation’s investment as it happens in defence technology. And the private sector innovation which has been generated by state investment in R&D in America and Israel could be matched by private sector innovation here built on public sector leadership and investment in rigorous environmental science. I hope we can say more in this area not just in the BEIS Clean Growth Plan but also in what will be its sister document - DEFRA’s 25-year Environment Plan. Now I know there has been understandable impatience that the Plan has been longer in gestation than a baby elephant. But I want to make sure our plan is as ambitious as possible. Critical to its success will be adopting as rigorous a methodology as possible to setting goals and reporting success or failure. Which is why I have written to Professor Dieter Helm, the Chair of the Natural Capital Committee, to ask his Committee to draw up advice on what our Plan should aim to achieve and how it should seek to do so. The Natural Capital Committee is another British institution which has shown global leadership in establishing new ways of valuing our environment. And it was of course the NCC which first made the case for a 25-year Environment Plan and I want to ensure that we use the insights of natural capital thinking and accounting to develop an approach which will help guide us in every area from reforming support for agriculture to considering how we reform planning policy. The Committee has agreed to provide its advice in September, laying the ground for subsequent publication of our Plan. And next year, I will also be publishing the second National Adaptation Programme, a comprehensive plan of action to improve our resilience to climate change – an area where Defra is the lead government department, a responsibility I take very seriously. I have set out what I believe is a deliberately ambitious agenda today because I believe the times demand it. Leaving the EU gives us a once in a lifetime opportunity to reform how we manage agriculture and fisheries, and therefore how we care for our land, our rivers and our seas/ And we can recast our ambition for our country’s environment, and the planet. In short, it means a Green Brexit. When we speak as a Government of Global Britain it is not just as a leader in security or an advocate for freer trade that we should conceive of our global role but also a champion of sustainable development, an advocate for global social justice, a leader in environmental science, a setter of gold standards in protecting and growing natural capital, an innovator in clean, green, growth and an upholder of the moral imperative to hand over our planet to the next generation in a better condition than we inherited it. That is my department’s driving ambition - and it should be central in the next five years to our national mission.